Perfect your 5-foot putt with PuttMate. 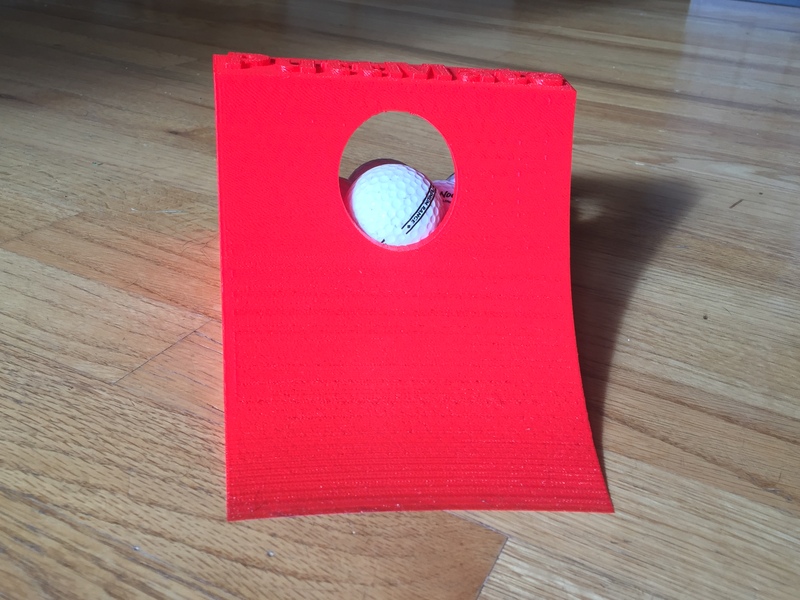 This is a new product that helps golfers of all levels perfect their short putt. Place the ball 2.5 feet from the front of the ramp–about the length of your putter–and PuttMate’s half-sized hole emulates a 5 foot putt. If you miss, PuttMate’s unique design guides it right back to you, without the power cables and without the noise of conventional putting devices. 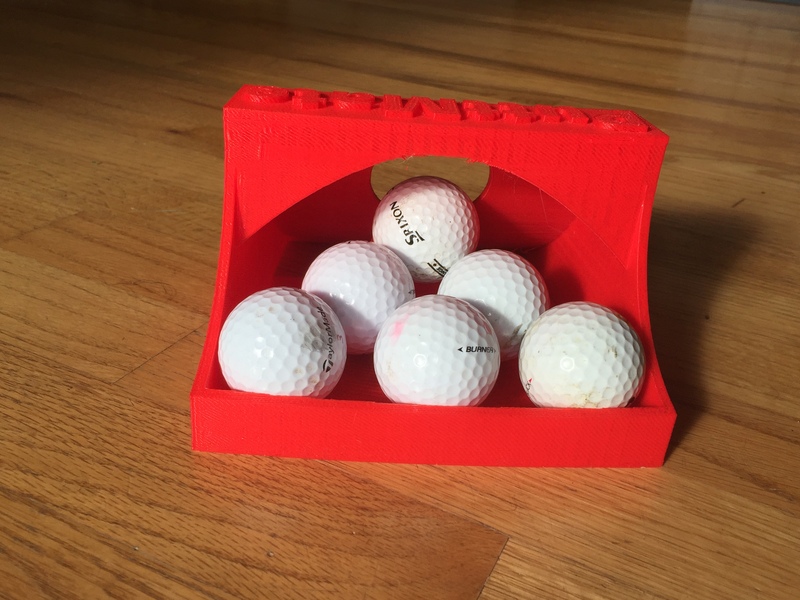 And when you make it, PuttMate stores up to 6 golf balls, keeping things nice and tidy for the home or office. How can I get a PuttMate putting ramp? 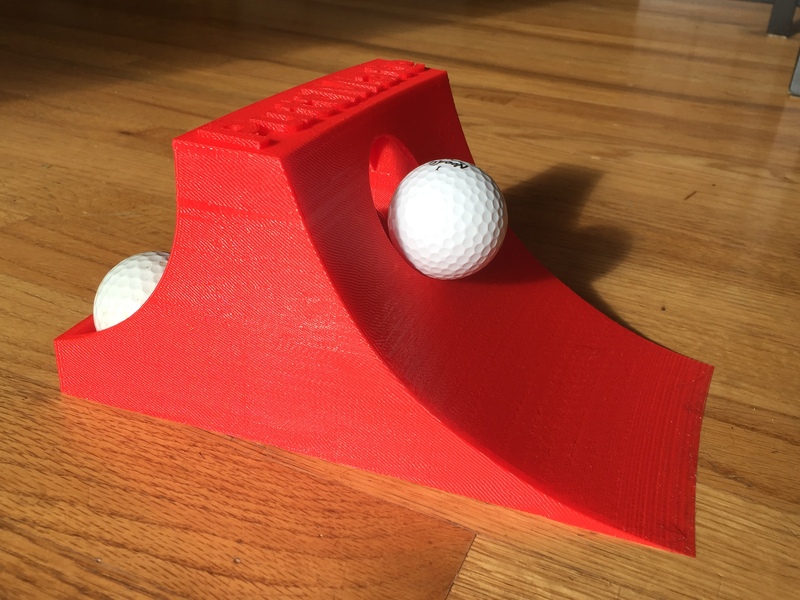 Purchase a prototype PuttMate putting ramp from Amazon, and I will send you payment instructions and get a hot-off-the-3D-printer PuttMate in the mail for you. Pre-order a production-grade PuttMate. The Kickstarter campaign is targeted at getting an injection mold built for PuttMate. The cost for the injection mold is a little over $10,000 (I will cover the difference). The more pre-orders I get, the quicker I will pull the trigger on making the injection mold. If you are interested in investing in PuttMate, check out our hypothetical investment round. If you are interested, you can request to be notified should I open up an actual investment round. Tell me what you think of PuttMate. *If I do not know you, I may ask for you to purchase a prototype, and I can refund your money when you get the prototype back to me.